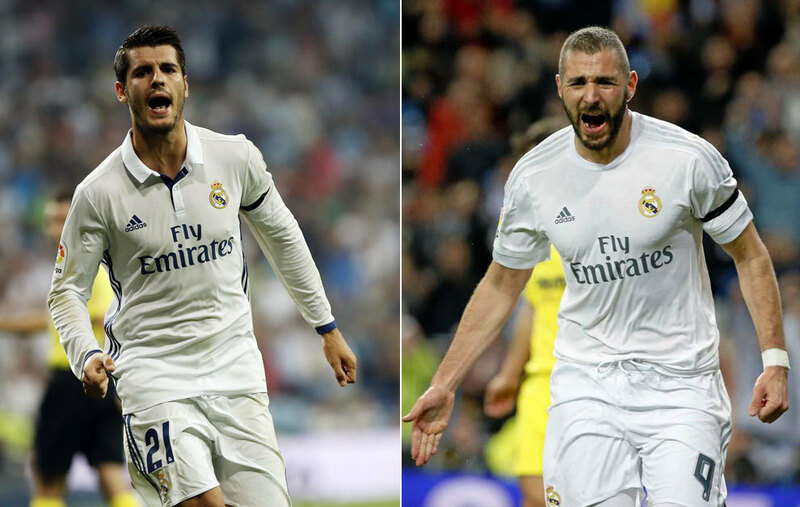 There is an interesting battle emerging between Karim Benzema and Alvaro Morata as to who should start as Real Madrid’s first choice striker. Morata was the club’s only significant first-team arrival during the summer transfer window and has thus far has impressed with his work-rate off the ball combined with supreme technical ability, although he is yet to score in LaLiga this term. Benzema however is what Real Madrid fans and coaches alike know – he is a guaranteed goalscorer and as such, coach Zinedine Zidane now has a difficult choice to make ahead of Saturday’s meeting with Osasuna. It would be a surprise for the former Lyon forward to be brought straight back into the starting eleven at the Estadio Santiago Bernabeu on Saturday with the mid-week clash against Sporting Lisbon a far more likely return date. Teams at the very top level need options in each position, and in attack Zidane needed a longer-term alternative to Benzema, rather than the short-term measure of asking either Cristiano Ronaldo or Gareth Bale to fill in centrally. The Spaniard is that option but it must be said that he has arrived in Madrid a far different individual to the one who left in 2014. He was first-choice for much of his Juventus career and was called upon to lead the team in attack when necessary. This isn’t the case in the Spanish capital as he will be required to dovetail with the Frenchman. It’s a battle that has been played out before with a much younger Morata having displaced Real Madrid’s star striker in matchday nine of the 2013/14 season, although he never truly gained the trust of Carlo Ancelotti. Both players will be given chances to shine by Zidane and that makes for an intriguing race to see who leads the illustrious attacking line this term.